I have been shopping at Eddie Bauer for years. I like that their clothes are comfortable to wear and classic in style. I’ve found their clothes hold up well, and I’ve had several pieces for years that still look like new. In addition to their great clothes, Eddie Bauer offers up a lot of neat accessories for both women and men. From purses to scarves, belts to sunglasses. 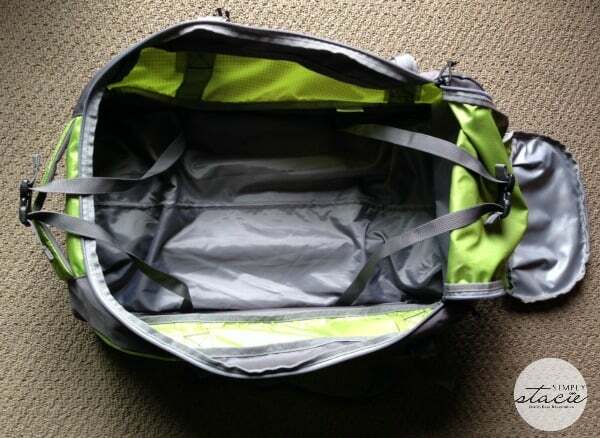 They also offer some great bags for traveling and outdoor adventure, including the bag I received for review – the Rolling Commuter Duffel Bag. This bag is available in black, green, and red. I chose the green color because I like a pop of color in a sea of black bags. The little zippered compartment is perfect for smaller items that you want to keep separate and easily accessible – like keys, travel papers, phone chargers, etc. The main compartment is a great size. I was able to fit six pairs of pants and twelve t-shirts in this bag with room to spare for socks and other personal items. This bag is ideal for long weekends or overnight business trips. 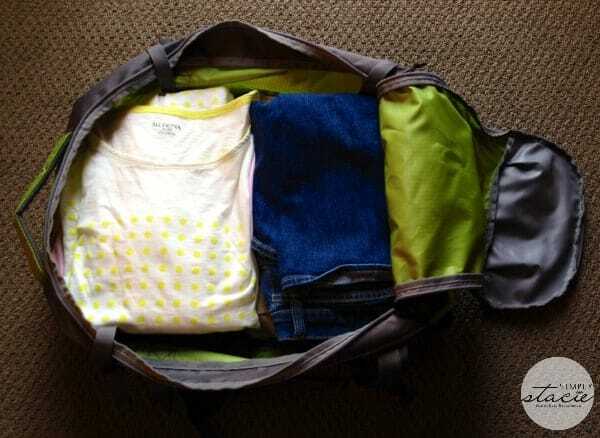 It’s also a great size for packing up clothes and accessories for my two boys – I’ll easily fit all the clothes, shoes, bathing suits, and personal items they’ll need for our annual Lake George trip this summer. 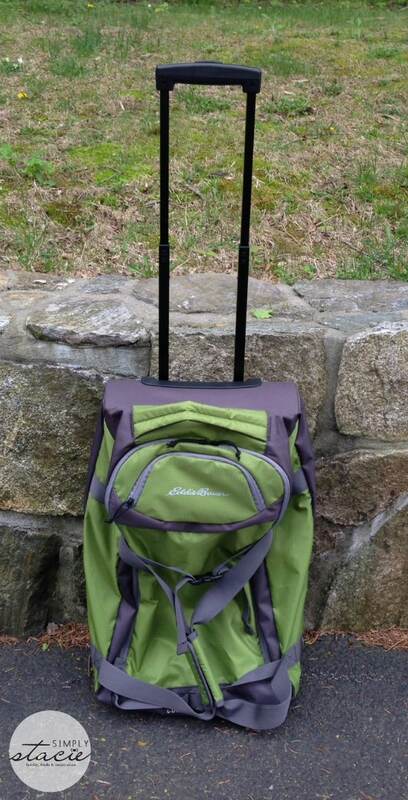 I like that this bag is sturdy, yet lightweight, and very functional for any type of travel. This bag measures 12″ W x 21″H x 11″ D, and sells for $80 on the Eddie Bauer site. Pacific Northwest outdoorsman Eddie Bauer was passionate about innovation, quality, and an appreciation of the outdoors. Those passions, combined with excellent design and exceptional customer service, have made Eddie Bauer a leader in the outdoor lifestyle business. They offer premium-quality clothing, accessories and gear for both men and women that complement today’s modern casual outdoor lifestyle. Check out all they have to offer on their website. You can use the store locator on their homepage to find a retail store near you. I like the Clarks Desert Boots. Love the airbender 20 sleeping bag. I love the Expedition Luggage collection! I love the Eddie Bauer travelex collection. The Olympic Dome 6-Person Tent. I like the Karakoram™ 20 Down Sleeping Bag. I could never buy it, but like the Airbender 20 Sleeping Bag. I love the down throw. I have one that I use constantly and should really be retired! I like the Eddie Bauer travelex collection. I like the layering tank top. All most everything on the website! I like the Quest full zip fleece jacket. I love the Daisy Messenger Bag! Love the Airbender Sleeping Bag. Love everything especially the northwest retreat pendelton blanket.